Couponing can seem very overwhelming to a beginner. 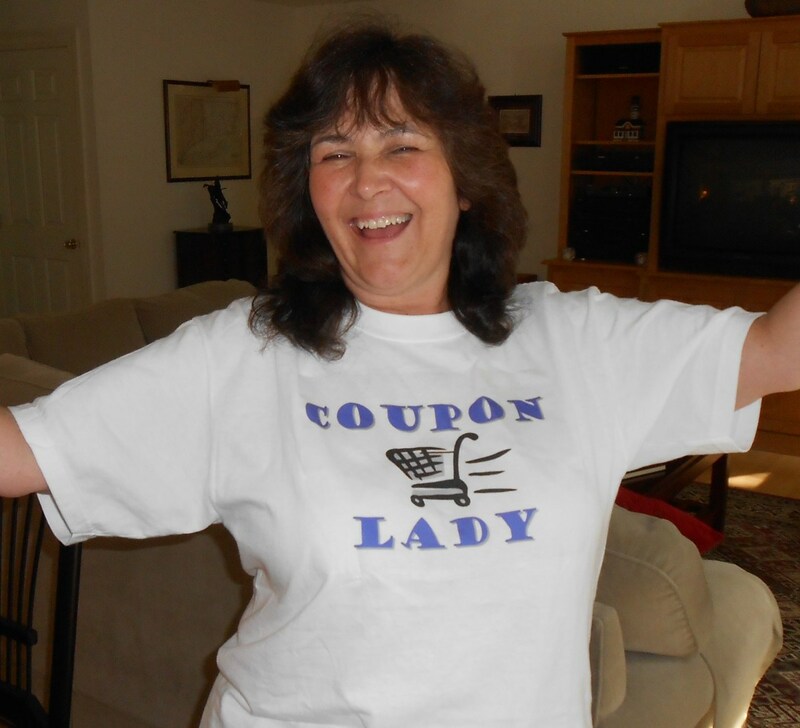 Learning how and when to use which coupon, how to know which coupons you can use together, where to get coupons in the first place, and the general ins and outs of the field usually takes a lot of work. Learn how to make it simple to use coupons, save your family money, and still be able to take your children to the playground. It will still take time and effort on your part, but follow my steps and you will be a pro in no time. No, you are not. You are only stealing if you do not follow the rules. When a coupon is used correctly, the stores are reimbursed by the manufacturer by the dollar amount stated on the coupon, as well as .08 cents for handling. Even if you get an item for free with a coupon, the store is still being paid for it. This is in no way true. Do not watch that show for tips, because often the people on there are not following the rules or the manufacturers have bent the rules just for the show. I have a good stockpile, and even enough of some things to last me for 2 years (my standard on non-perishable items) and I have never shopped like people on that show. I do not purchase coupons, bend rules, or clear the shelves to fill baskets and baskets of items. My items have been bought over many shopping trips, over many months. Never ever buy an item you would not use just because you have a coupon. If you have a coupon for .50 cents off of cereal, but don’t normally buy that cereal and your family won’t eat it, don’t buy it. You are reducing your savings by the $2.50 you just spent, $2.50 you normally would not have spent. This is a coupon made and distributed by the manufacturer. Most of these come in weekly inserts in US newspapers, although some come stuck to items (called peelies). Some even come in the mail. 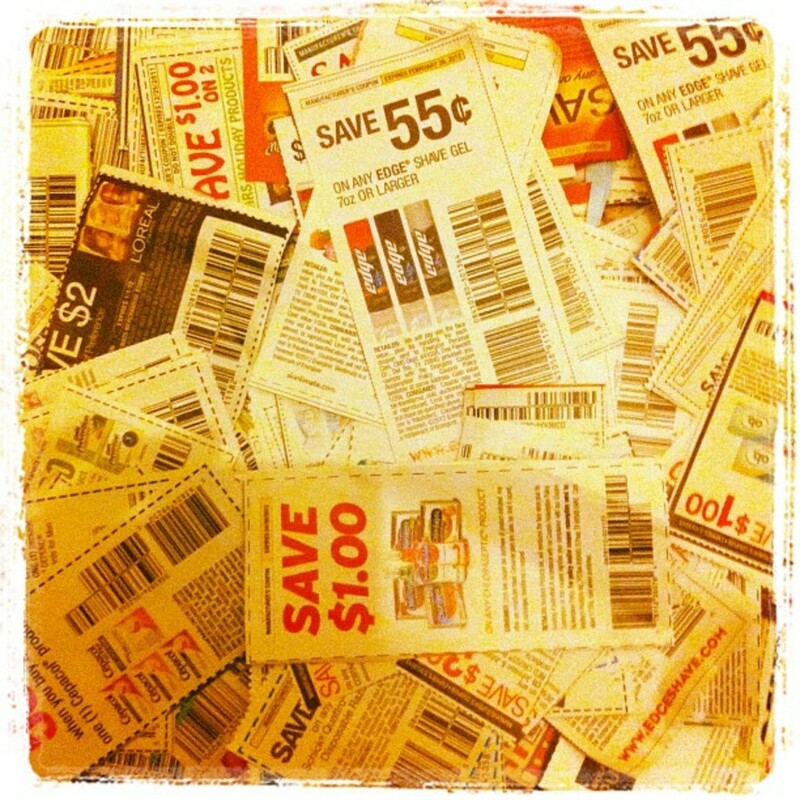 There are other places to find coupons such as on the inside of packages, but the aforementioned are the most common ones. These can be from Target, Kroger, or any coupon printed by a specific store that does not read “manufacturer coupon," but reads the store's name instead. These are coupons printed off of your printer, from coupons.com, Facebook, redplum.com, or another legitimate site. PDF coupons are usually fraud, so beware when printing them. Following the rules is one of the most important parts of couponing. Stores do not have to accept coupons. They do it as a service to their customers (and to draw business). If we do not follow the rules, they may stop accepting coupons and we could lose out on a lot of deals. Listed here is a brief rundown of the rules. These are not all of them, just some of the important ones. Read the coupon policy of the store you will be shopping at. Know the rules the store places on using coupons. I cannot stress this enough. Many coupons state “Limit of 4 like coupons in same shopping trip” which means you cannot use more than four of the exact same coupon. A shopping trip, according to many stores, means that you have shopped and then left the building completely. Most coupons state a size restriction. Toothpaste, for example, usually says it is good on “4 oz or larger." Or the coupon will state “Excludes trial size." Sometimes coupons will be off of two of the same product, such as $1.00 off of 2 boxes of pasta. If you do not read the fine print, you run the risk of being embarrassed at the checkout, being rejected, or committing fraud, which is punishable by law. Many stores will let you use a store coupon with a manufacturer coupon. For instance: one holiday season, Target put Maybelline Baby Lips lip gloss on sale for $3.00. Target also released a printable coupon for $2.00 off of any Maybelline cosmetic item. In the Red Plum insert there was a manufacturer coupon for $1.00 off any Maybelline lip product. I was able to use the $2.00 Target coupon, and the $1.00 manufacturer coupon together to make the lip gloss free. I could not use a Target coupon with another Target coupon. I also could not use a manufacturer coupon with another manufacturer coupon. An overage happens when the item you buy costs .85 cents, but the coupon you are using on that item is for $1.00 off. Some stores will give you overages, such as Wal-Mart. At Wal-Mart you can even receive cash at the end of your transaction. Other stores will require you to buy other items to “soak up” that overage. Other stores yet, will adjust the amount of the coupon down so that you do not receive an overage, but still get the item for free. Be sure to check the coupon policy of the store to find out what you will be allowed to do. There are several ways to get coupons. The most common is through your local Sunday newspaper. Some areas receive the Red Plum insert, but most receive at least the Smart Source and the monthly P&G insert. Often, if you contact your newspaper office, they will offer deals for couponers to receive multiple copies of Sunday newspapers. 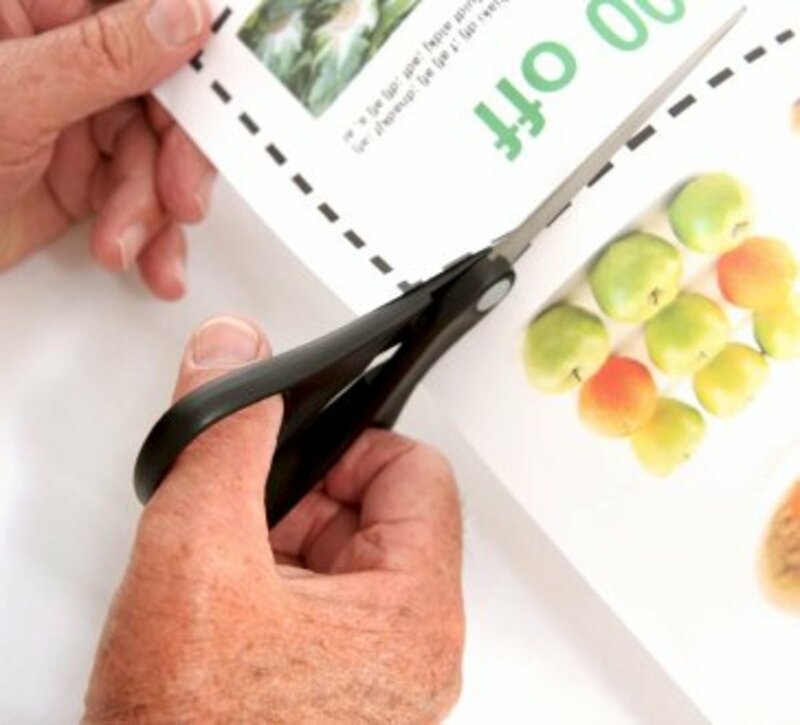 Another way to get coupons is through clipping services. These services offer to mail you the coupons you want for a few cents per coupon. This is not illegal because they are not selling it. They are charging a small fee for the time and effort they have put into clipping and organizing the coupons. 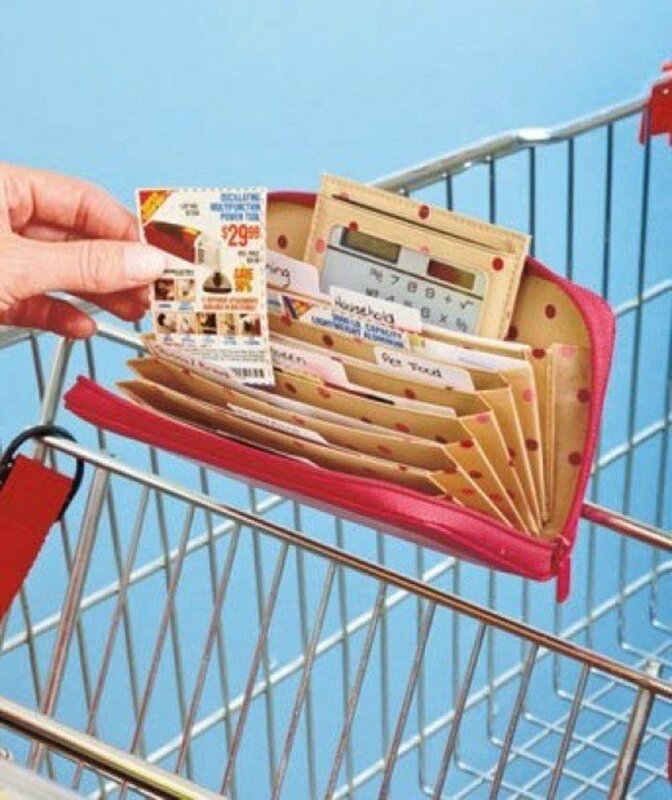 This can be a good way to get large quantities of coupons that you need. Once you get all of those coupons, what do you do with them? It seems like so many. My best suggestion is to start small. Begin by cutting out only products you regularly use. There probably won’t be too many of these. They can be organized in a couple of envelopes or an accordion style folder. The next time you go shopping, check your list against the coupons you have. If any match, use those coupons. This will give you the hang of couponing. Once you feel comfortable with that, you may want to consider setting yourself up with a large selection of coupons. I will warn you, getting this set up the first time is time consuming. Here is step by step how I set myself up the first time. It took weeks, so don’t expect results soon. It is so worth it, though, and it's not as difficult to keep up afterwards. 1. First, I began by sorting my coupons. I set up two boxes, one for “keep” coupons and one for “toss” coupons. I began sorting. I put any coupon for items I would buy if it was cheap enough into the keep box. For example, I would normally use Crest toothpaste, but if it was really cheap or even free, I would happily use Colgate, or any brand for that matter. All toothpaste, toilet paper, hair dye coupons, etc went into keep. The only ones I would “toss” were products I would never use like adult diapers, denture cream, baby stuff (I don’t have children) and foods I would not eat even if it was free. That really became my mantra. If I was on the fence I asked myself, “Would I use this if it was free?” and if I would, I kept it. If the answer was no, then I tossed it. You will likely keep much more than you toss. 2. Once I had the coupons sorted, I looked at my full box and took a deep breath. Now comes the tedious part. If you can, invite a friend over. Talking makes the work go by a lot faster. And cookies. Cookies make the work nicer as well. 3. Think up categories that make sense to you. You want to get them as separated as possible. Here is a list of the categories I had, but you really have to find your own way or it will be impossible to do it with any speed. Baking stuff. There is a lot of this. It made sense to give it its own category. Breakfast foods, fruit snacks, granola bars. Think anything usually found in this aisle. I am sure there were other categories but you get the idea. You can always make more or less categories as you need. This may take a few days, so to keep things organized you can file each category away in an envelope, and keep the envelopes in a shoe box or other container. 4. Now you need to decide how to keep them organized so that you can use them easily on a day to day basis. Some people use the binder method, where they store all of their coupons organized into baseball card holders. Others prefer a box, with categories separated by dividers or envelopes. I create my grocery shopping and coupon list two ways. First I look at what is on sale at the grocery store I am going to, along with the coupon matchups (found on various blogs – Google your store's name and “coupon matchups”) for that sale. I think to myself, are there any meals I can make with these foods? If there are, I jot the things to make those meals down on the list. Then I create the rest of my list, the things I would normally buy – minus the brand if I can. Once I have my list, I go down it item by item and flip through my coupon book to see if I have a coupon that can work with that item. Sometimes I don’t have a coupon for a particular item, but I have one for something similar and am able to replace the couponless item. I then note on my shopping list what coupon I have for each item so I do not forget to use it. Sometimes I save about 20% off of my grocery bill, sometimes 50% or more. It depends on the week, the sales, and the available coupons. Some people prefer to pull coupons out of their binder while in the store. If that works for you, that is fantastic. I can’t do that though. I don’t like fumbling through my big binder while I am trying to shop. I bring my binder along in case I spot a clearance deal or something else, but I only open it if I need to. I personally use the envelope method. I have two envelopes, stuck back to back with tape. One is labeled TO USE and the other USED. When I have pulled out the coupons for that particular shopping trip, I put them in the TO USE section. In the store, as I put the item into my cart, I pull out the corresponding item and stick it in the USED section. This way, when I get to the register I am not fumbling to find the correct coupons. Other people use a similar setup with sandwich baggies. Just choose what works the best for you. There is no “right way” for anything about couponing. It is all about what will make your shopping trips go as smoothly as possible. Nobody likes getting in line behind a couponer (except for us fellow couponers.) You can make the experience a lot less painful if you follow these tips, however. Read your coupons carefully. Know the rules of the coupon before shopping. Make sure that the expiration date has not passed. Note the limit of how many like coupons you can use in a transaction. Note any size restrictions listed on the coupon. This way, you are not turned down at the register and embarrassed. Have your coupons organized before you get in line. I always step aside at the end of my trip, pull out all of the coupons I will be using and look them over. I double check the expiration date, and make sure I have the right coupons to match what I am purchasing. I have all the coupons in my hand as I approach the registers. No fumbling, and no holding up the line. Let the cashier know you have coupons. They may want them before the transaction begins. Show the cashier, and let him or her tell you what they prefer. Even if it makes no sense to you, your transaction will go a lot smoother this way. Do not be a “shelf clearer." Many of us have seen those shows where the extreme couponer goes into the store and buys every single one of a particular item gleefully exclaiming, “Well, they should have gotten here before me!” If there are only a few on the shelf and you happen to be buying them, then it is fine. 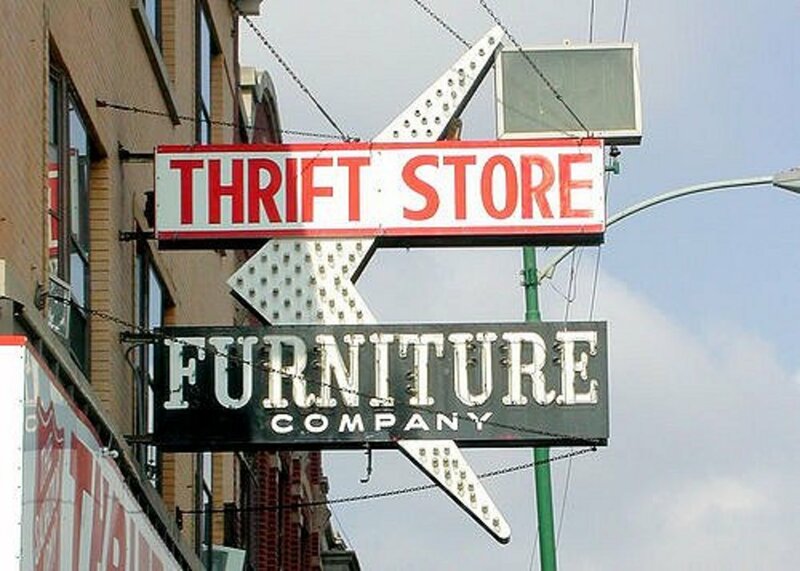 But do not go in and buy twenty of the same item all in one trip. Leave some for others. If you want a lot of something go buy your coupon limit’s worth, then come back later and buy a few more. I did this with my husband’s shaving cream. For the whole week I stopped in every time I was near and bought 4, leaving others plenty in case they wanted some. If you want to see what you can legitimately do with coupons, check out this video by the Boston Globe. It profiles a lady who has an awesome stockpile, but (as far as I can tell, and I watched the video many times to check) she follows the rules and does not clear the shelves. There you have it! You now have the information you need to extreme coupon like a pro. Go out and save some money! One of the sites that i personally prefer for purchasing coupons is dealspop. We get all the best coupons of all the brands that we prefer. 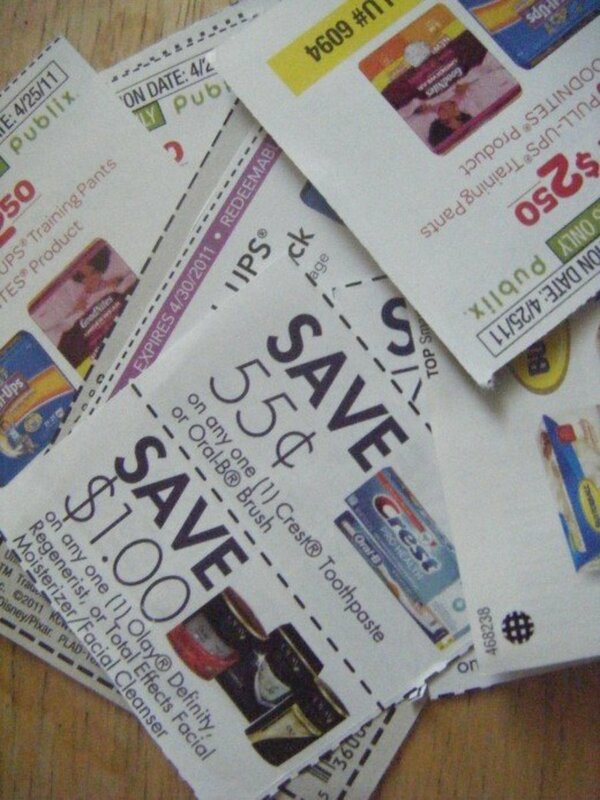 Very useful on how to stack coupons and other couponing tips. Voted up! This is very thorough information and great for any beginner! I'm am sharing a link to this page on my facebook page. Thanks for all the time and work you put into it! Rosie, I use baseball card holders in my coupon binder as well - it's an easy thing to find in stores and does a great job. Thanks!! Excellent hub! Very informative and easy to sift through, for those who want to read certain parts. I tried couponing and actually saved a lot of money. I used my son's baseball card binder empties to sort them. My life became so busy, I gave it up, but it is definitely worthwhile if you have the time. TToombs08, thank you! It is nice to have a reminder of the basics, even when we have been couponing for a while. Writing this Hub was a great refresher for me! ripplemaker and aboutaustralia I wish other countries would get coupons! It's a great way to save money and people would love it if the manufacturers would jump on board! Ciel Clark and jfjones, if you want to begin just take it one step at a time - it can be very overwhelming but it's not as bad if you start small. Don't expect a fifty dollar savings in your first trip! Pick one deal and go with that, then do another. Eventually it will become natural to you. I really enjoyed reading this hub. I have always wanted to start this, but kinda of felt overwhelmed. This hub was written on a level that made it all make sense to me. Very impressive hub! 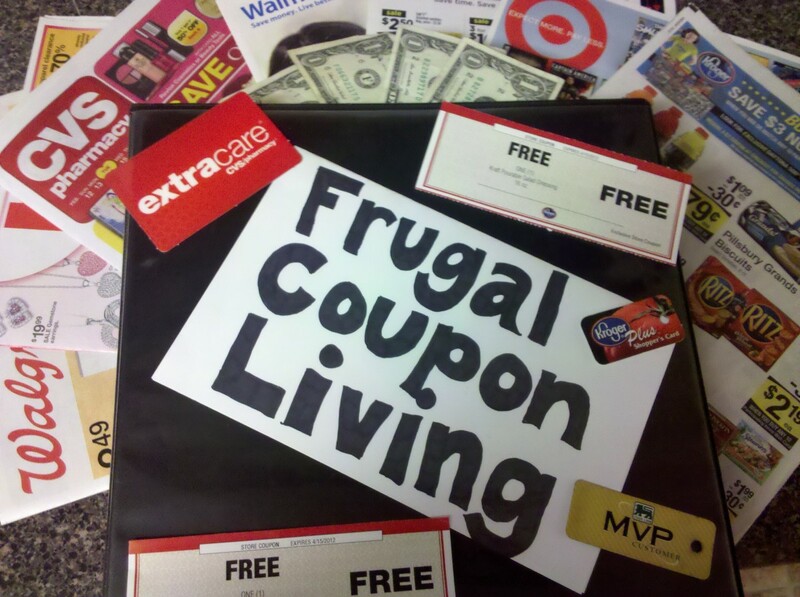 Great hub, and not just for novice couponers. It's a good refresher for those of us that have been using them for awhile. Well done! And I voted for you in the hubnugget poll. :) Hope you get it!! !